Here’s a quick rundown so you can get some playing time in before coming back and reading the full story. And please do come back and read the rest of the guide! 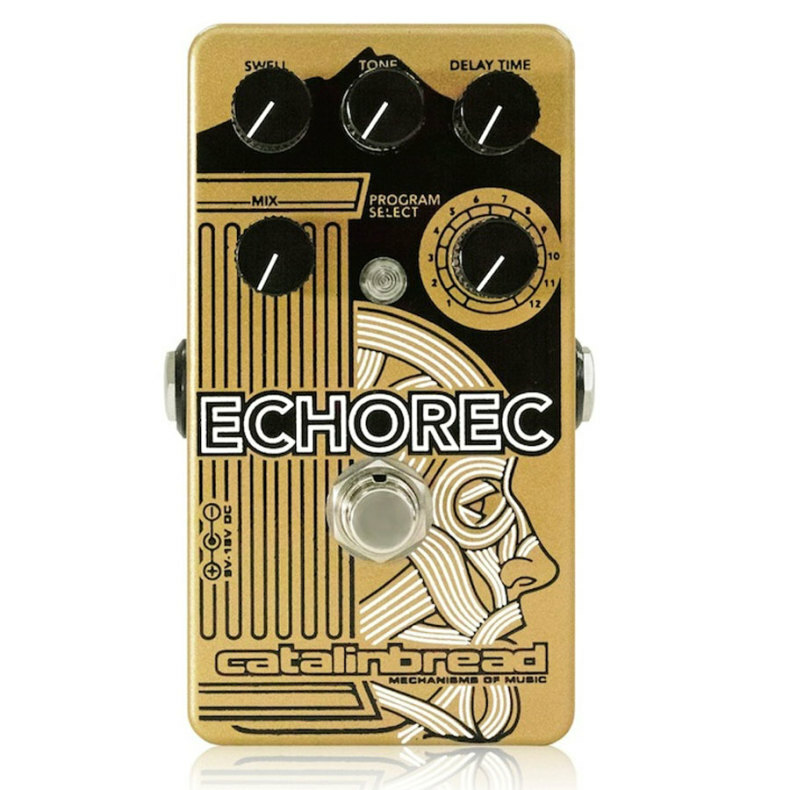 It will help you more fully appreciate what the Echorec can do for you and give you a bit of history! 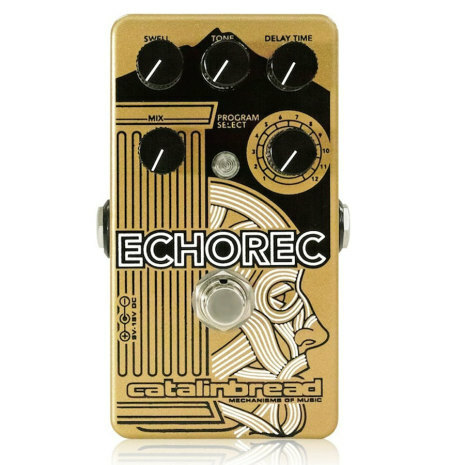 Plug in your guitar, Echorec, and amp. Set your amp clean for now. Don’t put it on your pedalboard just yet, just play it by itself to get familiar with it! Set Swell to minimum, Tone to noon, Delay Time to noon, Mix between 9:00 and noon, and set Program Select anywhere you fancy. Now play your guitar and flip through the Program Select. This control allows you to select the playback head combinations. Program 1 is a single tap and Program 12 is all four heads. And in-between are all the cool combinations that give you some famous and soon-to-be-famous rhythmic pulses (you will write a song before the night’s out – guaranteed!  ) A good way to check out the head combinations is to flip to a Program and mute your strings and rake them once so you can hear the distinct rhythmic pulses each Program creates. Now start turning the Swell control up and be greeted with a beautiful wash of swirling repeats. We know you’re having fun now. You’re welcome! Don’t forget to try playing soft passages followed by loud ones so you can get a feel for the touch sensitive dynamics of the Echorec’s preamp. It breathes with your playing! OK, now that you’ve undoubtedly already got a riff for that new song you’ve been meaning to write for the past six months, take a break and sit down to read the rest of the user guide!